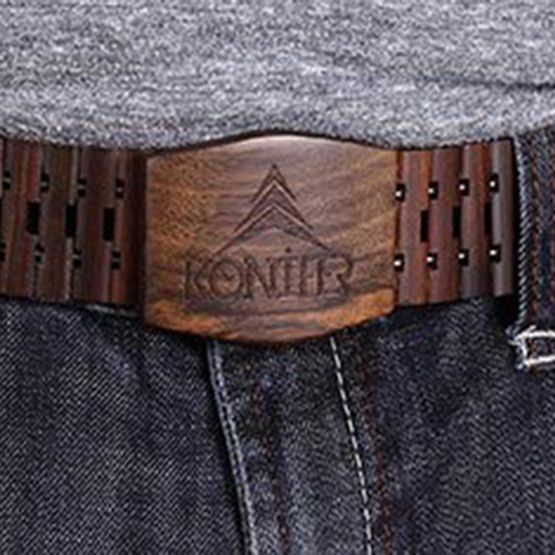 Take the wooden accessory look to a new level with our designer Chocolate wooden belt. We call this one our chocolate model, but we assure you it’s unlike any chocolate you’ve ever encountered! 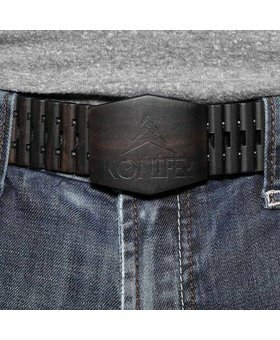 This belt is crafted entirely of warm brown sandalwood in deep, rich tones that complement just about any wardrobe.Others advertise wooden belts, but offer only wooden belt buckles. 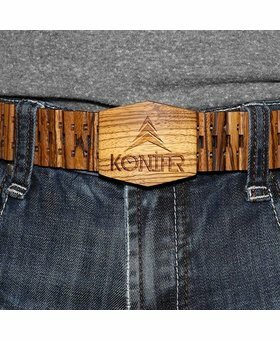 We proudly handcraft each of our wooden belts entirely out of individual sections of log, resulting in uniquely textured, distinctly fashionable accessories that you’ll enjoy for years to come. 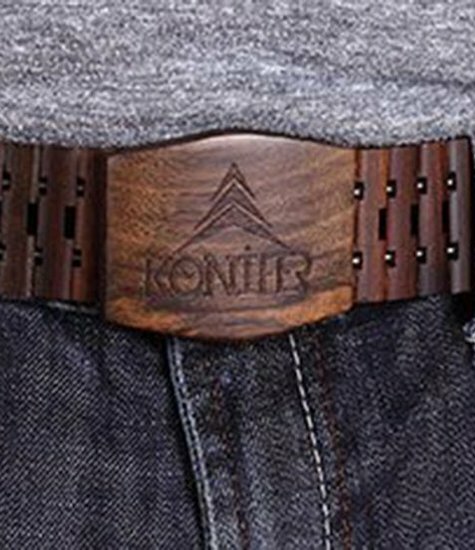 Try one of these functional and fashionable nature-inspired belts for a hike or just to add some uniqueness to an everyday outfit.